In a recent article featured in the January 2017 edition of The Oath. Khaled Shivji, Head of Legal at Aggreko explains how he has used Market Dojo to successfully appoint a legal panel. 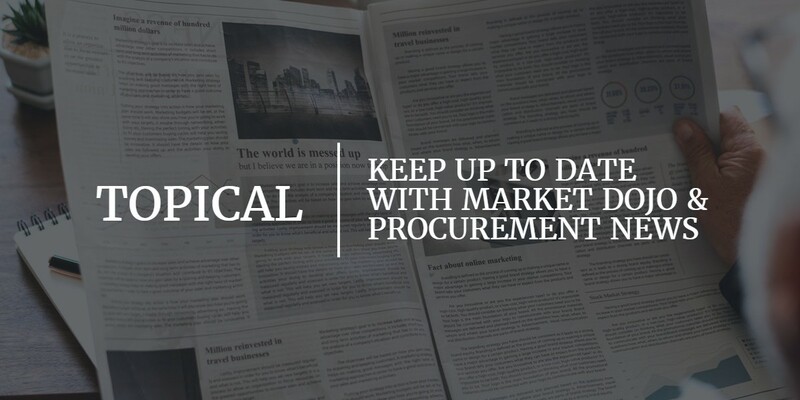 The article highlights how using an eProcurement system can pay dividends for General Counsel who want to appoint a legal panel. Khaled ran the tender through the Market Dojo tool to select a regional panel, based on very strict bidding rules. By limiting the volume of information submitted by bidders, he enhanced and simplified the process. The success of the event has delivered savings for the client, in addition to freeing up the time of the General Counsel to focus on more urgent, high-value tasks. To read the full article online, visit The Oath here.